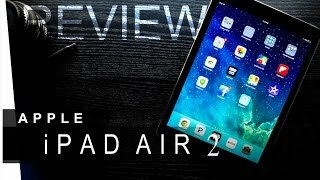 Now that the initial buzz of the new iPhone 6 and iPhone 6 Plus is beginning to die down a bit, Apple has decided to launch another new product: The iPad Air 2. It has been a long enough time since the iPad has been refreshed that they are expected to launch the new product before the holiday season. Along with a new line of iPads, there are also expected to be upgraded Mac computers revealed at a major event set to take place October 16th. Although we don’t know the iPad Air 2 Nigeria release date yet, we are hoping it is announced at their event this October. So far, we don’t know much for certain except that the Air 2 is no longer just rumors but a real product that will be released. There are a few safe bets we can take about features that will be included such as a new Touch ID sensor, an A8 processor and possibly NFC capabilities. All of these features are on the newest iPhones so it would make sense to include them on the new Air 2. It should also run on the new iOS 8 and be near the same price range of the iPad Air when it was first released. When the new iPhones were released, they featured twice as much storage space as last year’s models at lower prices than before so we are hoping for the same advancements with the iPad Air. Although we aren’t too sure whether or not this will have an impact on the design of the iPad Air 2, there have been many speculations in the following weeks regarding a new 12.9” mega iPad. The gossip points more towards a 2015 release and not a fall 2014 release so the chances that there will be an iPad Air 2 released with that large of a display are slim. More speculations regarding the iPad Air 2 which are yet to be confirmed follow along features that were added to the iPhone 6 and 6 Plus. We are hoping that that Air 2 will gain an anti-reflective screen coating which will be perfect for viewing outdoors on a sunny day. Another nice addition would be if it were available in gold, silver and grey just like the new iPhone. 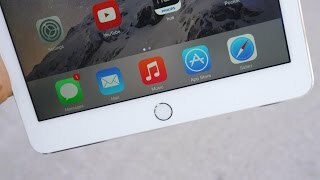 Although most of what we know about the new iPad Air 2 is purely speculation and rumors, buzz is still everywhere around the world with people guessing what new features could be added. 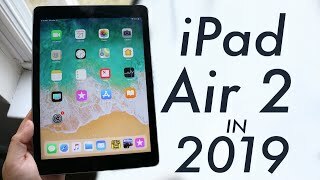 A new and updated tablet by Apple is way overdue so hopefully we will learn the iPad Air 2 Nigeria release date at the upcoming October event but we may not even learn that then. So far though, what we have seen is all good news and the new updates are sure to improve the overall experience. 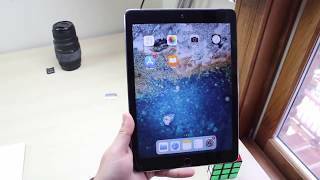 The ipad air 2 Tablets & EReader is manufactured by Apple and was added around December 2017 and is part of the Apple iPad Air 2 series. This version of the Tablets & EReader comes in Color : Gold , Capacity : 128 GB , Connectivity : Wifi , Display Size : 9.7 Inch , Device RAM : 2 GB. The model comes in 25 other variations including combination of 128 GB, 16 GB Capacity , Gold Color , Wifi Connectivity , 2 GB Device RAM , 9.7 Inch Display Size. The best price for the Apple iPad Air 2 in Nigeria is ₦ 320000 sold at PC Planet and available with free shipping and delivery within next business day. 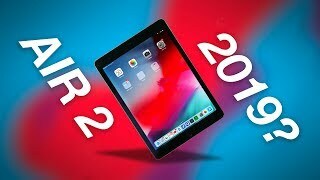 iPad Air 2 in 2019 - STILL Worth it?! 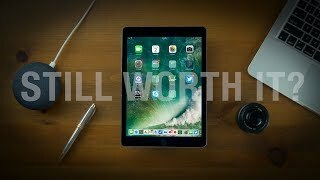 iPad Air 2 in 2018 - Still Worth It?